Today's audiology technology — and hearing aids in particular — have come a long way over the years. Hearing aids help millions of people hear better every day. But they are not unbreakable, nor do they fix themselves when broken. So to make sure your hearing aids last, you need to understand how hearing aids work and learn how care for them properly. With proper care and maintenance, you can keep your hearing aids in great working condition. Continue reading for a simple and effective hearing aid maintenance checklist from your local Long Island audiologists at North Shore Hearing P.C. The following items will help you keep your hearing aids functional; make sure to repeat these daily. As is the case with most small electronic devices, moisture is the number one enemy of hearing aids. The moisture in the air is enough to do unseen damage to the inner workings of your hearing aids. Remember to take a dry cloth at least once a day and get any moisture away from them. Batteries are replaceable because your hearing aids will most likely outlive the battery they came with. Make sure to test the battery daily to ensure it’s functioning at optimal levels. If it’s not, it may take a toll on the ability to provide optimal hearing correction. As a result, you may attempt to adjust them and upset the balance of optimal performance, which can make battery performance even poorer…It’s a bad cycle to fall into, so check the battery daily! Earwax can act as a muffler, especially on an electronic hearing aid. The same goes for pocket lint, dust, and other debris. Check that opening every morning and keep it as clear as possible. And make sure you know how to change your wax guards on your hearing aids. It’s wasteful of the battery to leave hearing aids on when you’re not wearing them. At night, double check you’ve turned them off. This also goes for any times during the day you may have removed them, but it’s an especially good habit to adopt just before bed. Place your hearing aids in a dry, cool place every night. The ideal place would be a dry-aid kit, but if not, then the hearing aid case yours came in is quite suitable. In any case, again, it’s important to prevent moisture buildup as much as possible. Most hearing aid wearers find optimum utilizing the Westone Hearing Aid Saver. Opening the battery compartment on your hearing aids after you take them out at night is a way to help keep moisture away. This preserves the battery and the inner electronics of your hearing aids, helping them maintain optimal performance over time. It’s not detrimental if you forget, but it’s another good habit to adopt to keep your hearing aids functional and efficient. In addition to daily habits to maintain and care for your hearing aids, there are things you should do once a year to keep things at peak performance. Bring your hearing aids back in to North Shore Hearing to have your audiologist check them out. A professional opinion is always a great thing to get when you want to ensure something lasts a long time. It’s very convenient to get your hearing aids looked at when you come in for a hearing check to test your actual ears, too. If the plastic tubing in your hearing aids begins to disintegrate, you can get it replaced and installed and your hearing aids should sound like brand new again! If the battery runs out – and eventually, it will – just replace it! It’s easy and inexpensive. Make sure any dirt and debris get cleaned out as soon as you spot it. You don’t want to let it build up! If you think there’s a chance there may be any moisture on your hearing aids, give them a look and wipe it away if you see any. If your hearing aids used to be comfortable in your ear but lately have seemed misshapen or uncomfortable, you may need to replace the earmold. You can contact North Shore Hearing and ask a professional for assistance here. 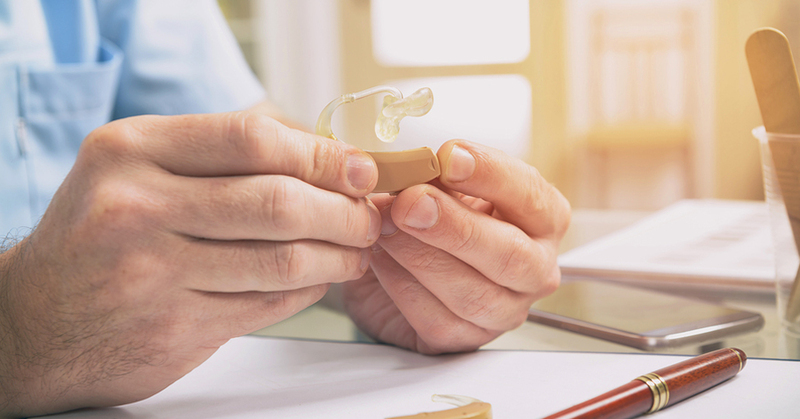 If simply replacing the battery and certain parts of hearing aids costs more than getting new hearing aids – or if yours are just well beyond their warranty and won’t work properly anymore no matter what you do – then it may be time to get entirely new hearing aids. Again, technology continues to advance, so getting new hearing aids may bring you more comfort and better hearing than ever before! Call North Shore Hearing P.C. to schedule an appointment with an audiologist, and we can help you out.